Yosta Pillar Sub-ohm Tank is a 3.5ml sub-ohm tank with an innovative top pipeline airflow system to avoid leakage and bring you pure flavor and huge cloud. 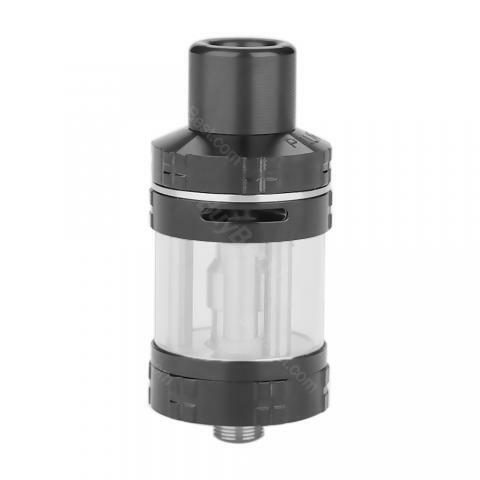 The sub-ohm tank is perfect for MTL lovers. It can be purchased in black, silver or rainbow. Yosta Pillar Sub-ohm Tank is an innovative sub-ohm tank which measures 24.5mm in diameter. It utilizes a unique top pipeline airflow system which avoids leaking and makes the air fully contact with the bottom coil to bring vapers pure flavor and big cloud. With convenient top filling design and no thread bottom coil for easy replacement, Pillar sub-ohm tank will bring you an easy but amazing vaping experience. With 3.5ml e-juice capacity, the sub-ohm tank is perfect for MTL vapers. 3 colors are available. • The replacement Pillar Coil is also available in BuyBest. Perfect! Just what I was looking for. The 3.5ml is suitable for my two days' usage. I'd buy extra cartridges for backup. Sehr schnelle Lieferung und soweit alles super, leicht zu bedienen und fruchtiger Geschmack ich möchte Yosta Pillar nicht mehr missen.